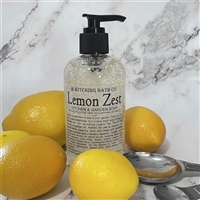 Turn their kitchen into a spa experience, with refreshing, tangy citrus aromas, right off the lemon tree. 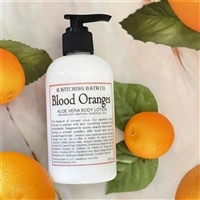 Infused with lemon essential oil, this collection is citrus fresh and clean. 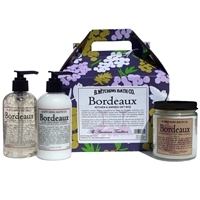 Gift set includes one full size each: Hand and Body Lotion, Kitchen & Garden Liquid Soap and natural sea sponge, wrapped in a gift bag with a yellow bow. Excellent product and Excellent customer service. 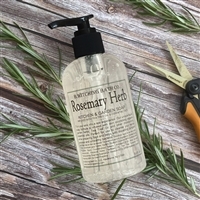 Love the Lemon Zest Fragrance.